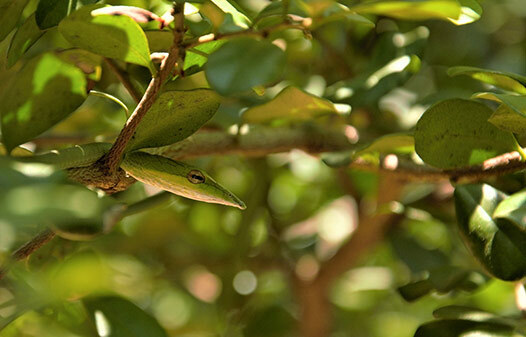 Superbly camouflaged amongst the foliage, the green vine snake a harmless colubrid snake that is widely distributed across the island. 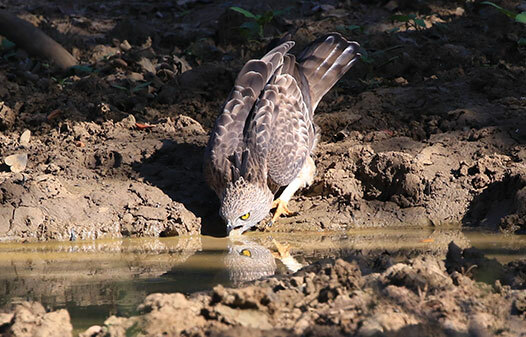 This juvenile was sheltering from the harsh midday sun, waiting for the cool evening to hunt. The icing on the cake this evening was meeting the king himself – Harak Hora – as he lay on the Jamburagala road with his casual disregard for the jeeps. True to his warrior nature, he appeared to be nursing fresh wounds on his back legs – possibly the results of a territory battle with another large male, or a scrap with an angry boar. As dawn was quite chilly, we left the big palu and neem trees behind and searched among the rock outcrops. 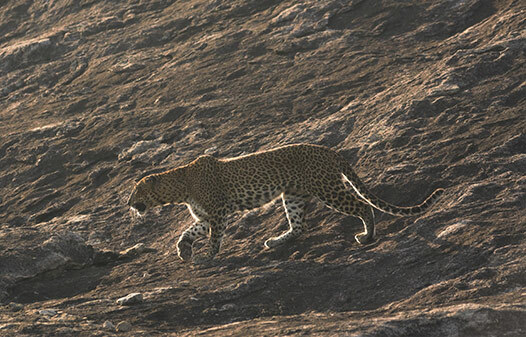 Sure enough, as the morning sun began to warm the rocks, this female appeared on Modaragala, walking along its length before settling in to bask in the sun’s warmth. With an overcast sky and a late night drizzle having left puddles all over the road, we knew our best chances of spotting a leopard was in the trees. Sure enough, we managed to catch a glimpse of this cat, comfortably asleep on a Neem tree, just past Ehalagas Wala. We came across fresh pugmarks while driving down Akasa Chaithya road and followed the trail for about 200m when we encountered this nonchalant female lying on the middle of the road. She sat on the road for about 10 minutes before moving off to sleep under a nearby bush. This protective mom ensured that she always positioned herself between our jeep and her calf, who kept peeking from behind her in curiosity. 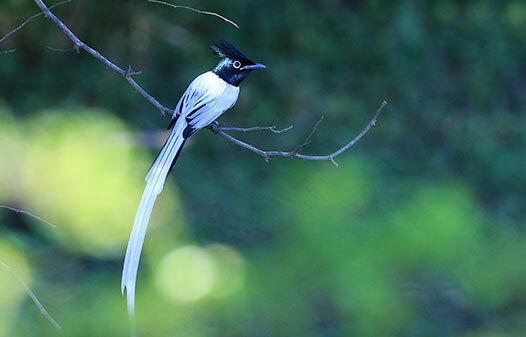 The Indian paradise flycatcher is a beautiful medium sized bird which is not rare to encounter, but a very challenging bird to photograph due to their quick movements. We spotted this attractive male very close to our campsite. 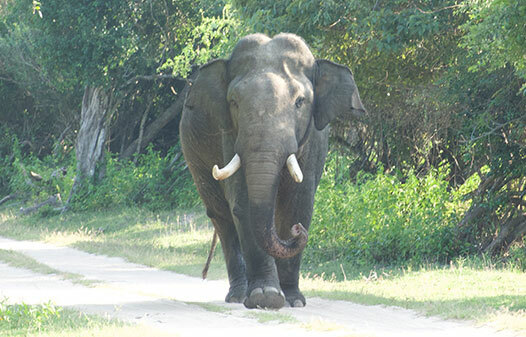 During our safari at Kumana National Park, we were rewarded with an unexpected encounter with a well-known tusker in Yala. 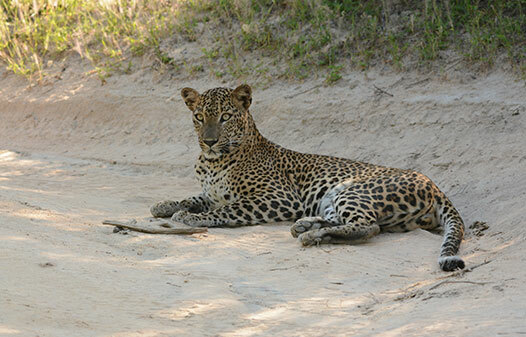 “Sando”, It was the first record of him at Kumana National Park. 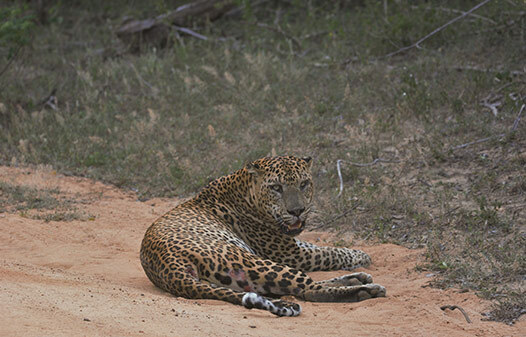 It’s truly amazing to see how far these animals travel within a relatively short period of time, as he was at Yala Block I couple of days prior. 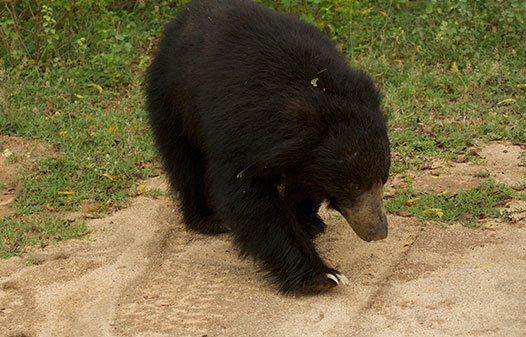 We came across this well grown male sloth bear near Koti Gala (Leopard Rock) on our way to the park exit. 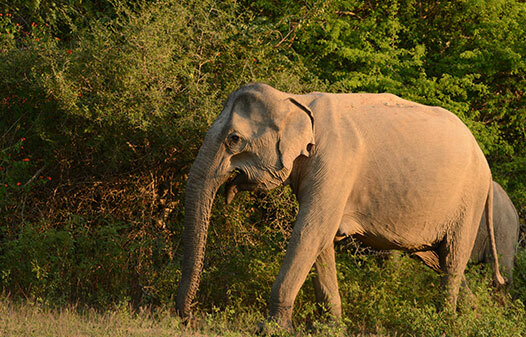 He was completely at ease with our presence and walked around our jeep before vanishing into the thick undergrowth.